We love this cloudy day engagement session photographed at Topsail Beach. 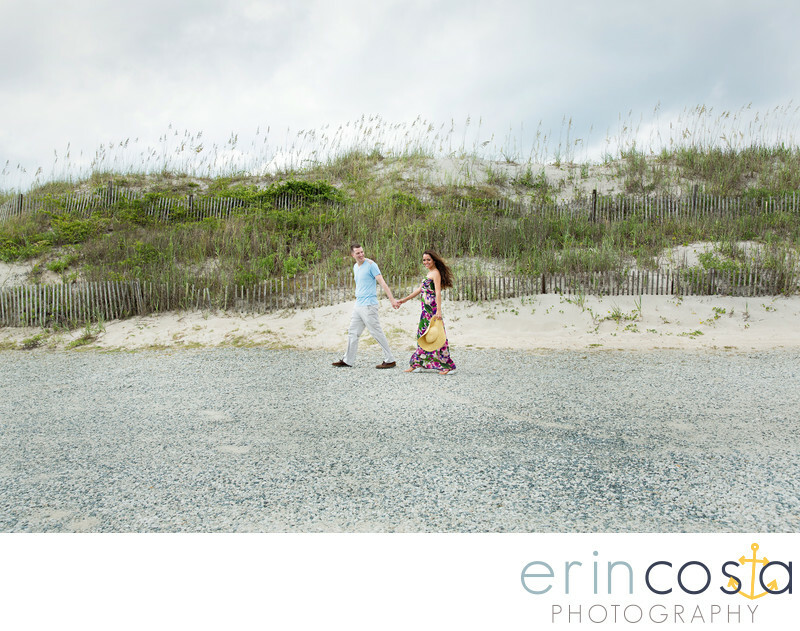 Topsail Beach makes a great location to have your engagement session! From the ocean front views, the beautiful pier and other off the path locations, Topsail Beach is perfect for your engagement session. We especially love that Livia accessorized her Topsail Beach engagement session with a big floppy hat!